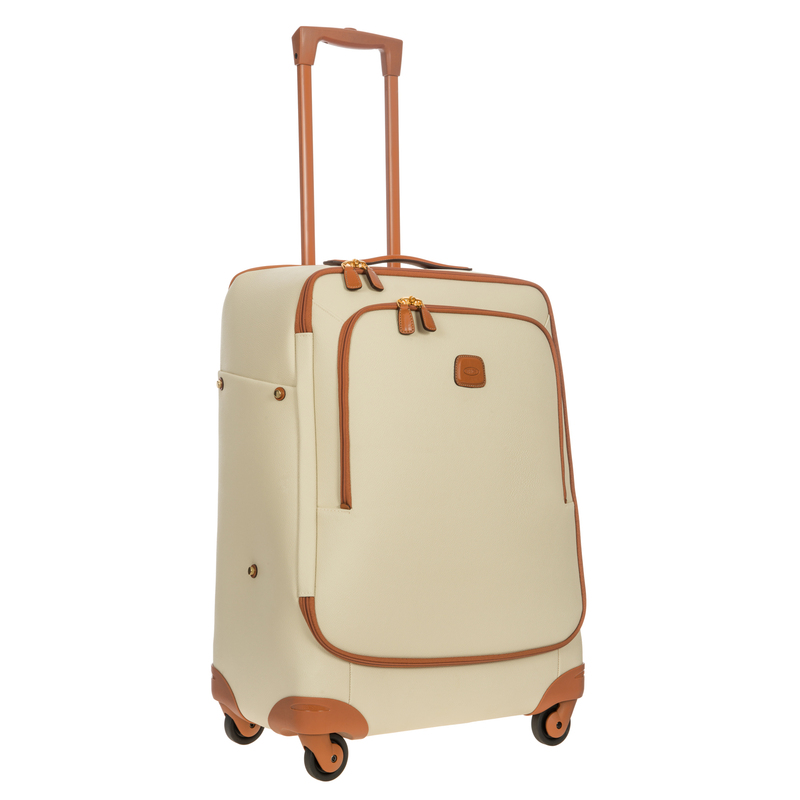 26 inch ultra-lightweight carry-on trolley from Bric's FIRENZE collection. 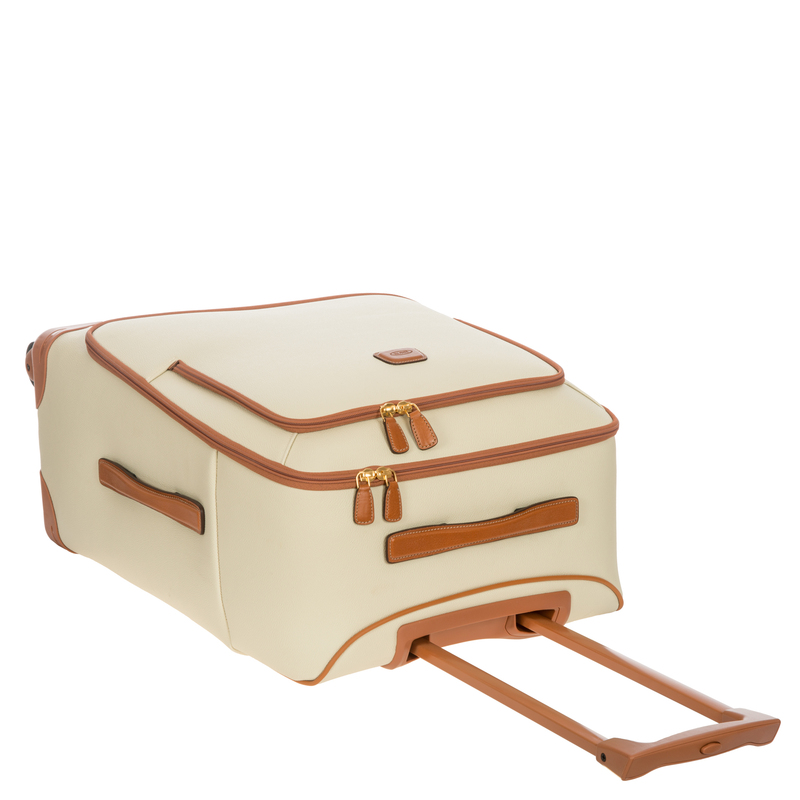 A unique style with a retro twist available in two elegant colour options - pink and cream. 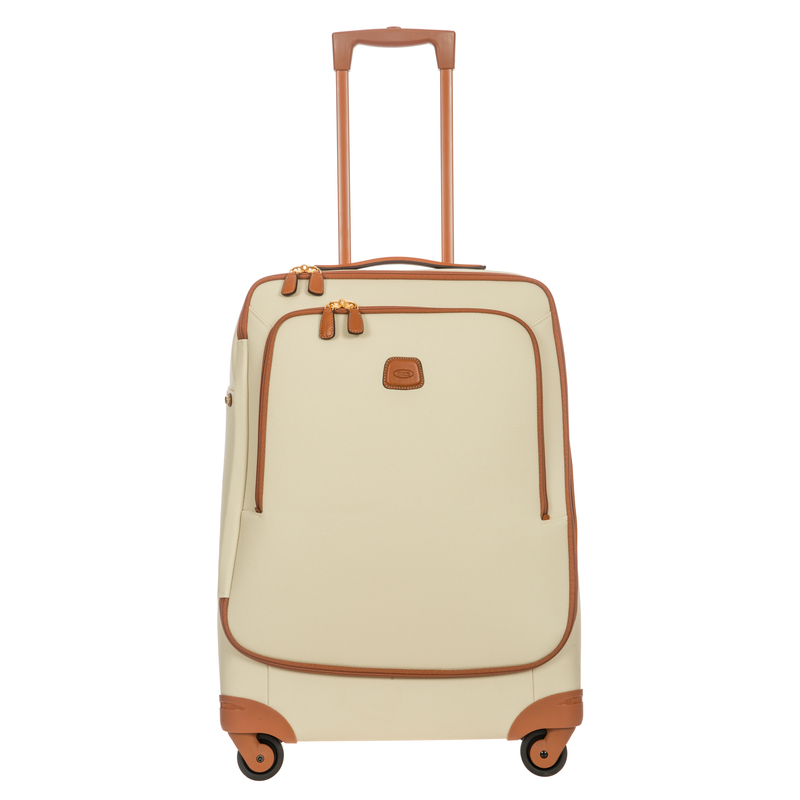 Made from embossed synthetic material that is both durable and easy to clean. 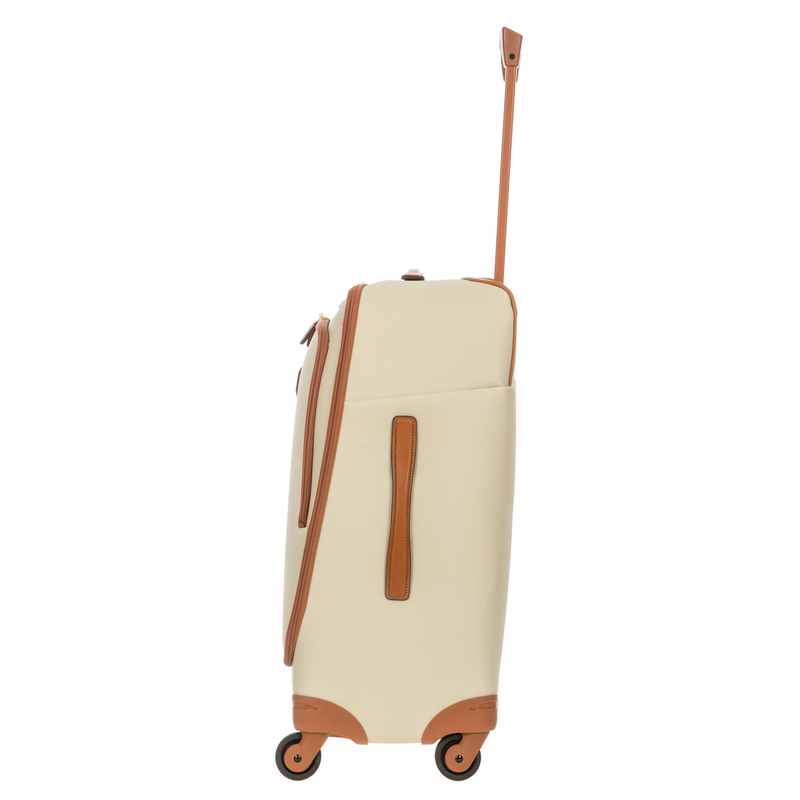 The vegetable tanned Tuscan leather finishes take on an aged look over time, making every carry-on trolley unique and personal. 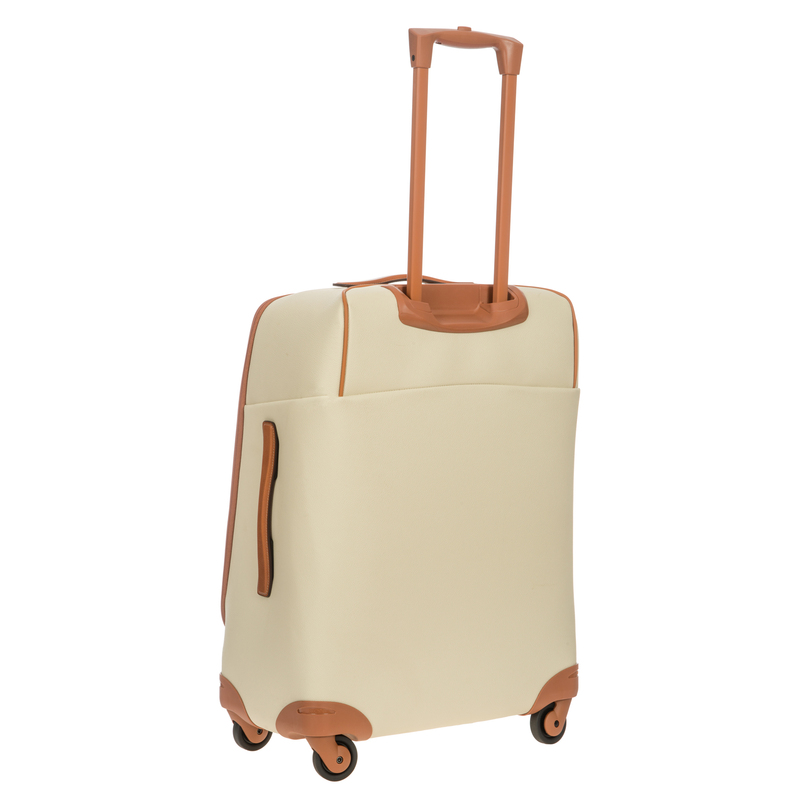 EXTERIOR: a large pocket on the front with a zip closure; adjustable pull-along handle; comes with a top handle to make moving easier; four swivelling wheels allow for easy 360° movement. 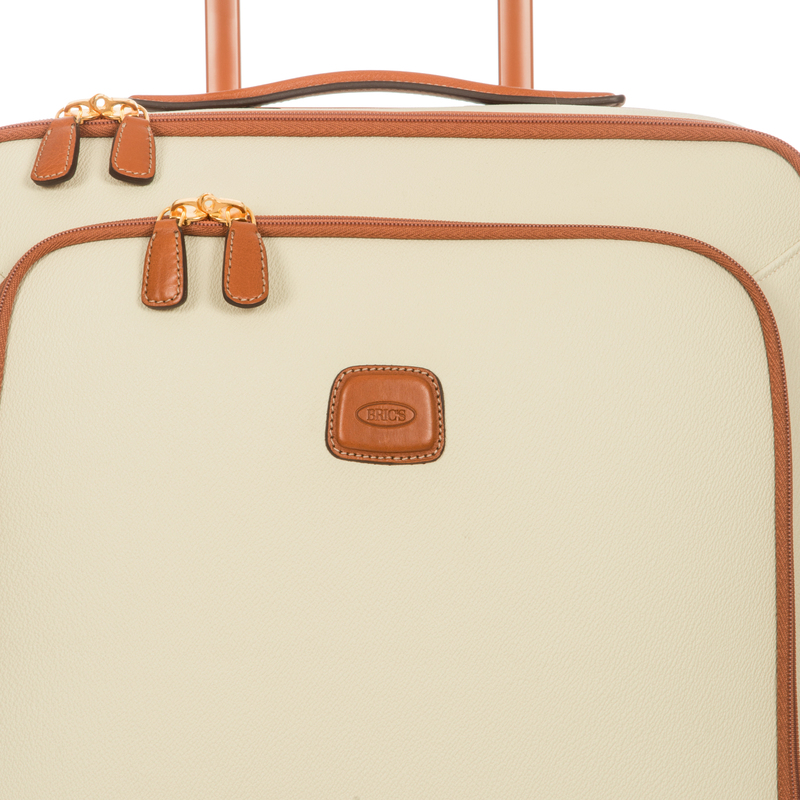 INTERIOR: comes with elasticated straps that allow for accessories to be secured while travelling and reduce garment creasing; convenient inner side pocket with zip. DETAILS: includes a leather address tag, a convenient transparent pouch that can hold liquids for airport security controls and a TSA lock with the Bric's logo; this is required for American airport security checks when travelling in the USA.